The NBA’s beloved unicorn just stumbled into a little beef. 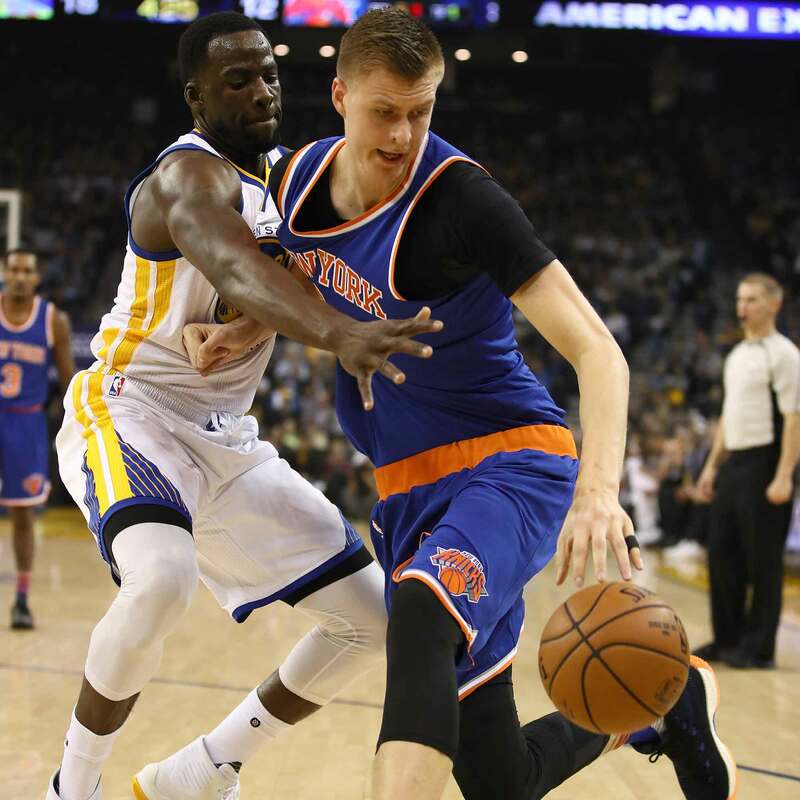 Draymond Green says he went hard at Kristaps Porzingis on Thursday as revenge for his comments last season. ​OAKLAND, Calif. — The NBA’s beloved unicorn just stumbled into a little beef. After two lackluster performances against the Warriors as a rookie last season, Knicks big man Kristaps Porzingis told reporters that he was eyeing his next matchup with Draymond Green. To many, that comment might sound like an earnest shot at redemption. To Green, it read as motivation. Green told reporters that his Nike player representative Adrian Stelly had relayed Porzingis’s comments to him by shortly before tip-off. On Thursday, Porzingis managed just eight points, his second-lowest total of the season, and shot just 4-of-13 from the field. That performance mirrored similar struggles last year, when the Warriors held Porzingis to 14 points (on 3-of-8 shooting) and 2 points (on 1-of-11 shooting) in a pair of blowout wins. The 7’3” Latvian big man has played his way into All-Star and Most Improved Player consideration this season thanks to his unique combination of three-point shooting, shot-blocking and ball-handling. But Green limited Porzingis’s effectiveness by crowding his space. It’s worth noting that this wasn’t a particularly fair fight for Porzingis, whose Knicks were without both Carmelo Anthony and Derrick Rose on Thursday due to minor injuries. In a similar back-and-forth last week, Green jabbed at Jazz coach Quin Snyder, whom he believed had questioned his three-point shooting ability. The Defensive Player of the Year candidate finished with five points (on 2-12 shooting) against the Knicks, but he added 11 rebounds and seven assists as the Warriors (23-4) coasted to their third straight win.